I'm a planner that's for sure.... especially for vacations. With kids, I've become even more so since even though vacays are one of my most favourite things, the wheels can fly off the wagon pretty quickly. Through the years, I'd like to think I've mastered the art. Here are just a few of my favourite tips for easier planning and packing. Best to plan early to make sure you get all the days you want. Also helps with cheaper prices, you can use your miles/points from whatever credit card/loyalty program you're in. When you've planned, research the vacation thoroughly like it's your second job. I usually spend a few hours before traveling checking trip advisor, blogs and the websites around whichever destination we are traveling to! It makes packing that much easier! I usually start packing a few weeks in advance. I clear an area in my bedroom or use a guest room and start dumping stuff there. It looks like a war zone but I know what I'm doing. After doing laundry, I put whatever clean clothes we'll be using on that specific vacation to save the step of packing away and then taking them back out. Then whenever I have a little time, I go into each of the girls' rooms to pull out the outfits I want them to wear on their vacation. As they are getting older and more opinionated this is getting harder as I've packed outfits and they haven't worn them when they got there. Lots of family pictures usually ensue on family vacays-- even a possible photo shoot. I make sure the girls have a couple coordinating outfits with us two just in case! I also think of dinners out and make sure we have enough dress up stuff and a few versatile accessories that can go with anything. These are a few vacay must haves that I usually walk with as well. 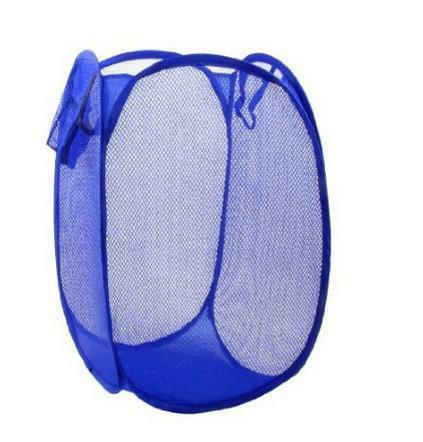 These pop up mesh laundry hampers are a must have for me. I have a couple I bought from the dollar store that I put in the bottom of my suit case. I've never seen a laundry hamper in even the nicest resort I've been to so this really neatens up the space for me. I also walk with a couple big garbage bags to sort and empty dirty laundry into so it's easier when I get home. 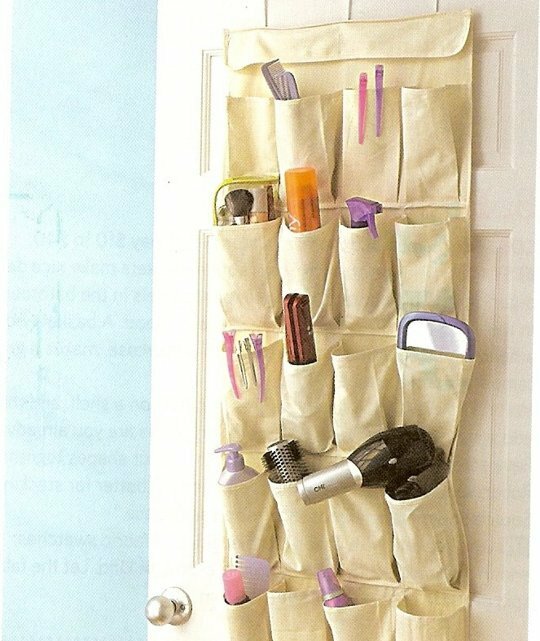 Love these shoe organisers but I got mine from the dollar store again (our dollarama is awesome). All of the little bits and pieces and even some shoes etc can fit in these and be hung inside a closet. 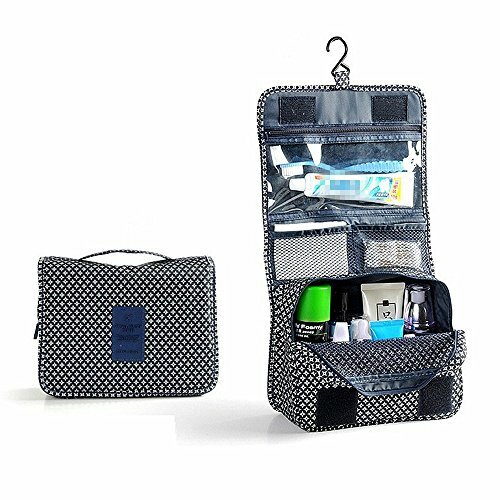 And I have a makeup organiser that I travel with but I have my eye on this one for future use. It sounds weird, but after I start planning and packing, when I'm almost done, I make a list and check it twice. Makes me very happy to cross things off the list and realise that I'm further ahead than I thought I was. This one is so important. My kids have been so excited to travel before that they've begun to pack for themselves. In their excitement, they've packed twenty dolls and removed unimportant things like insect repellent, sunscreen and one side of a sandal. Oh and there's that time, my friend's eight year old son did his own packing and put a swiss army kife in his carry-on! So yeah, with kids, do a final sweep through. 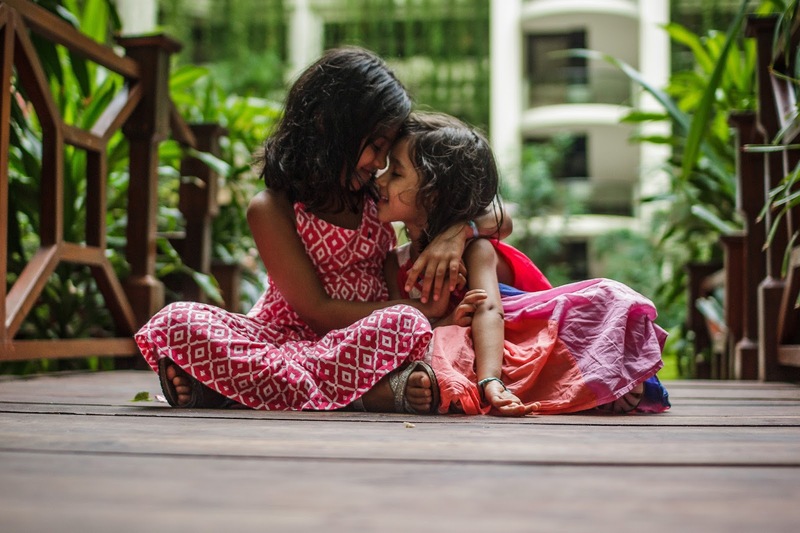 In just a few simple steps, your packing and planning is that much easier and you're on your way spending lots of time with your very favourite people. 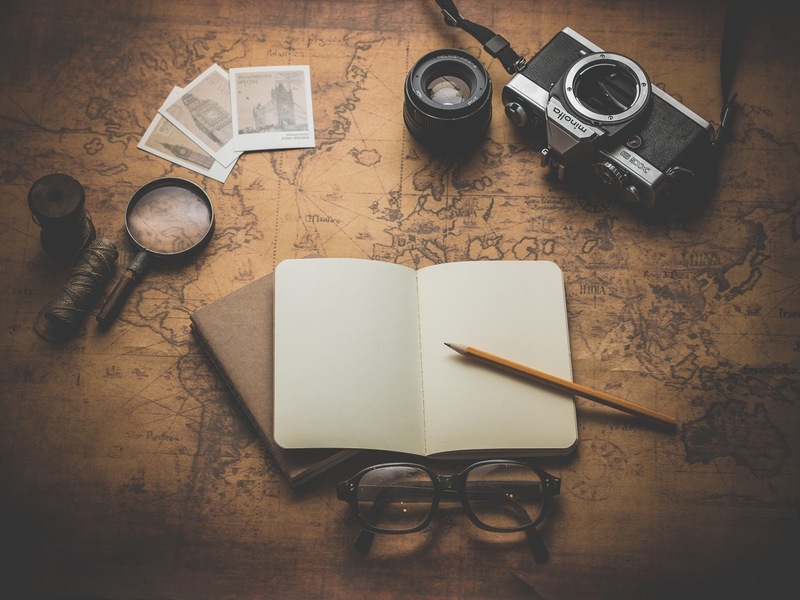 What are your favourite travel/vacation planning tips? Great tips! I love the pop up hamper idea. Dirty clothes on vacation muddled with wet swimsuits..ew. I have really gotten better at reading reviews and gaging our activities based on what others are saying. Maybe by the time my kids are all grown I'll have this down. lol. Thank you so much for joining us today!!! Yay!!! I am so glad I have a vacation coming up so I can actually use these tips :). That photo of the girls is like my favorite ever too :). haha I loooove vacation planning. I'm definitely an over planner. It is half the fun for me. I love the pack pretty one, and good idea about the pop up hamper. I almost always wish I had something and always forget to actually pack something the next time we go anywhere. Uh, genius to bring a pop up laundry hamper! I usually just stuff all our dirty clothes into a Target bag, but this looks so much nicer. List making is the only way to go! Yes to planning like it's your second job! I completely agree. I love the idea of a pop up hamper. I've never thought of that, but that's brilliant. We usually put ours in plastics bags, but they tend to get musty smelling. Thanks for sharing! Traveling is one of my favorite things to do. Planning a trip is almost just as much fun! You and I sound a lot alike in the ways that we plan. My family teases me when I pull out my suitcase to start packing a couple weeks before I leave. Pack early and pack pretty - LOVE LOVE LOVE LOVE! So true!! I usually pack a week ahead of time at least bc I don't want the kids messing something up that I have planned for them to wear during the trip! Thanks for linking up with us! Hey Sarita! These a great tips. My family and I travel a bit for the summer, so I'll definitely be keeping your points in mind. Love the idea of packing a hamper! That's always been a dilemma of mine when we're away...where do we put all the dirty clothes? This is a fantastic solution. Thanks for sharing. Visiting you from #tuesdaytalk! Thank you so much for these tips! Right now I am going to my vacation, and your tips will be very useful for me. Friends, also I would like to recommend you one moving company https://movers.best/residential-movers/long-distance-moving-companies/, which helps me, when I have to change my place of living. If you've received lots of new clothes, or bought lots of new clothes in the sales then be sure to pick up one of the wardrobe boxes which will allows you to hang all of your new clothes without needing to worry about them getting creased on the journey.